Now, Martin expands on his reflections in this moving and inspiring book, offering a powerful, loving, and much-needed voice in a time marked by anger, prejudice, and divisiveness. 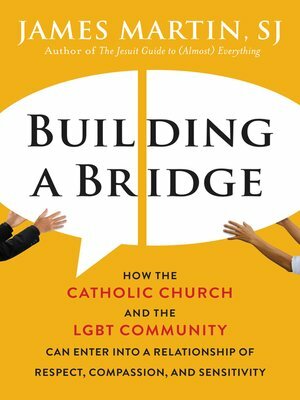 Adapted from an address he gave to New Ways Ministry, a group that ministers to and advocates for LGBT Catholics, Building a Bridge provides a roadmap for repairing and strengthening the bonds that unite all of us as God's children. Martin uses the image of a two-way bridge to enable LGBT Catholics and Church leaders to come together in a call to end the "us" versus "them" mentality. Turning to the Catechism, he draws on the three criteria at the heart of the Christian ministry—"respect, compassion, and sensitivity"—as a model for how the Catholic Church should relate to the LGBT community.